Would like to thank all the sponsors for their support to make Traction OFF – Exclusive Drift Experience happen. In addition to that I would like to share the interviews we had with Al-Watan TV to share more details regarding the event. Here is the video on Taw Elail evening program.. 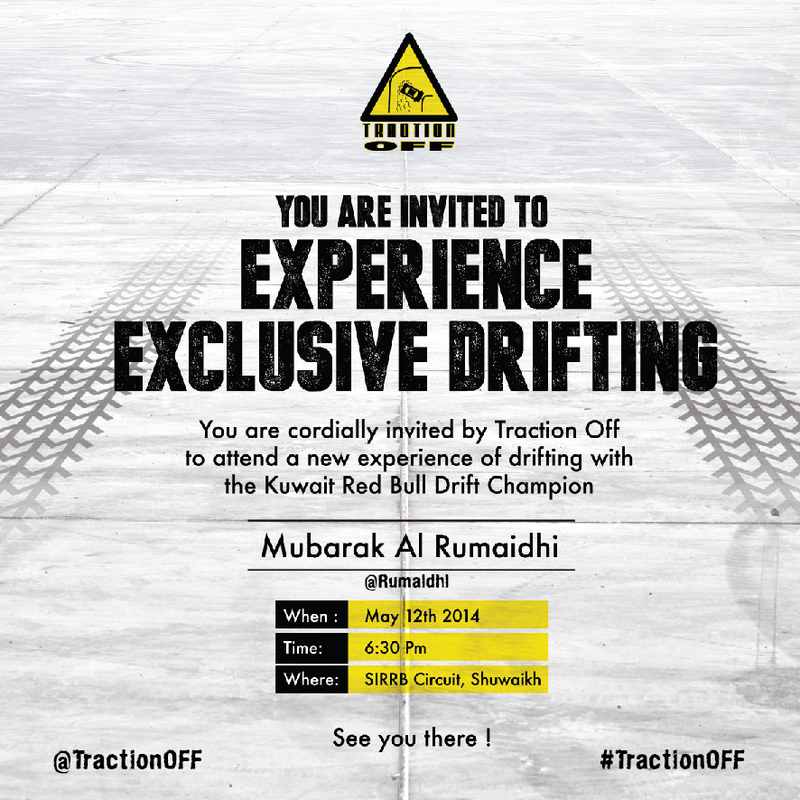 I posted earlier about an event different from it’s kind; Traction OFF – Exclusive Drift Experience, Kuwait’s Thrill Event. 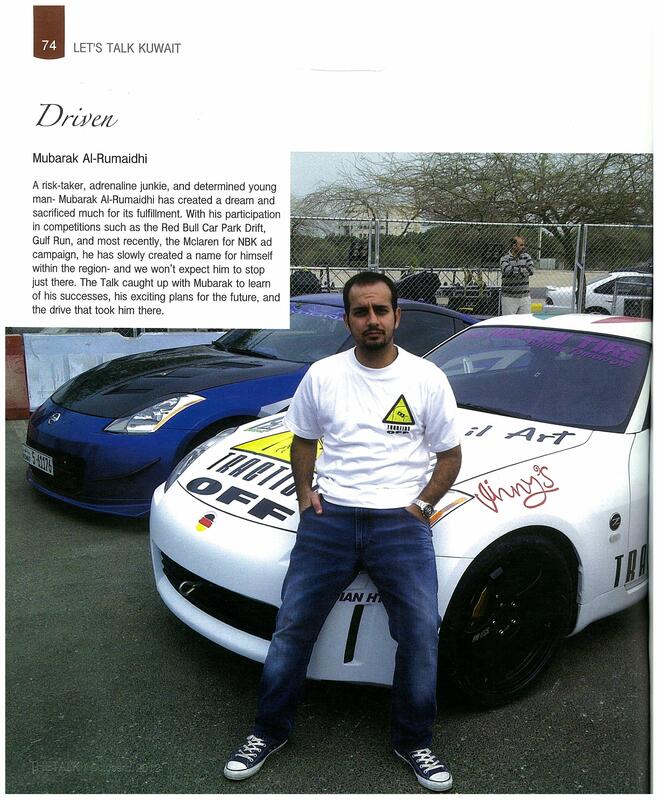 Last month (May 2014) we shared a passenger experience with different social media successors from different fields to be passengers with the Red Bull Car Park Drift – Kuwait Champion 2012 our Professional Driver Mubarak Al-Rumaidhi. The event went better than expected especially after burning more than 5 pairs of Falken Tires to please all the invitees with a thrilling passenger ride. While the drift show was busy burning rubber, Talal Al-Othman, the Team PR Manager was taking care of the hosting and making sure each person that was promised to ride was getting their turn. 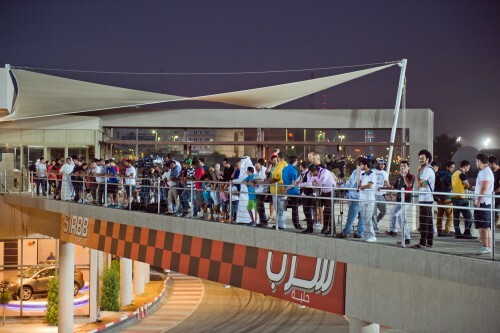 Sirbb Circuit has a good spectator bridge located in the middle of the circuit to which is called the “Sky Bridge”. We had volunteers to help these people regarding anything about the event, since it was a private event and spectators were welcomed to look over from the Sky Bridge. We were glad the event went smooth and most importantly we’re also glad that everyone from organisers to volunteers and spectators to invitees had a blast that evening. 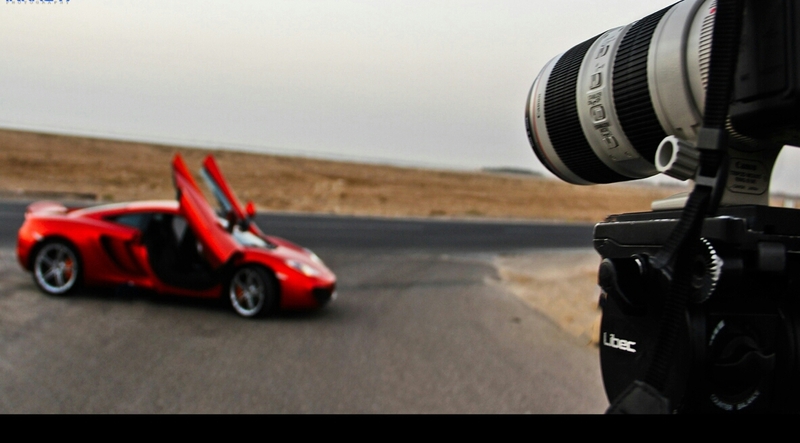 Video Credits to Faisal Al-Rajhi and Q8Stig. To watch more video please visit… Faisal Al-Rajhi’s blog. 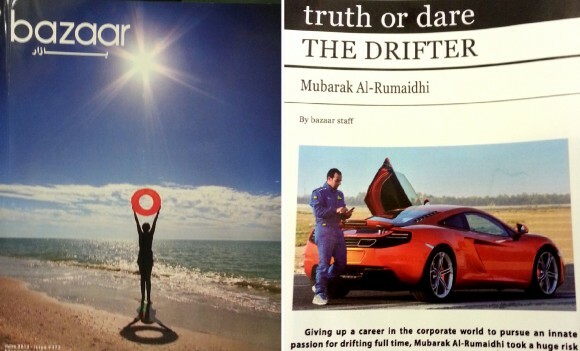 Here are more blogs that shared their experience with us..
You may also find an arabic article with our Media Sponsor..
Several weeks ago, I was thinking of changing the image of drifting by expanding the reach to a crowd that has nothing to do with cars. So the journey started when I was having a chat with my buddy Talal Al-Othman; his background is marketing and public relations (PR). I was in search to take Traction OFF to another level and Talal as Team Manager was the right person to make the image professional and well respected. 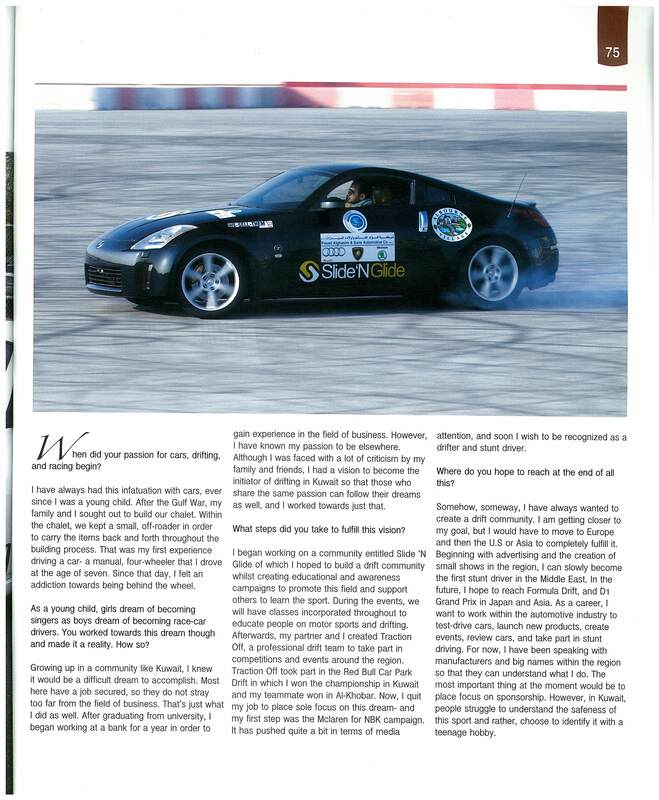 I proposed the idea of introducing drifting to another reach of crowd, different sort of people from different backgrounds and he loved the idea. We started planning and gathering the names of the candidates from different media outlets, blogs and instagrammers. While we were in the planning phase, I contacted another buddy of mine, the owner of an online automotive magazine called Qabaq, and his reaction was I want to be part of this planning. So driven and excited all of us put our hands in together to make the best out of the 2 weeks left until the scheduled date with Sirbb Circuit for the event and all we have is paperwork. As everything was coming together we wanted to share the experience with the candidates we had in mind and that they will be passengers with a professional drifting champion therefore, we came up with a unique title just for those selected invitees and it is “Traction OFF – Exclusive Drift Experience, Kuwait’s Thrill Event”. Everyone we approached received a Traction OFF Piston Invitation to be a passenger and they loved the idea and wanted to be part of the event, so we expanded our event to make it open for the public to be able to enjoy the drift show from the Sirbb Circuit Sky Bridge while I take our humble guests for a thrilling ride around the track. Of course our supporters are part of this unique event that will not be forgotten, therefore we will have coverage from Al-Watan TV to go on the “Taw Elail” night show on the following Wednesday the 14th. Not only that, but we will also have a display of cars from our Main Sponsor and our Gold Sponsors will be sharing their interesting products of their vehicles. Earlier last month I was reading some tweets until I passed by a daring question from Bazaar magazine’s twitter account @bazaartweets and they were asking if anyone was up for the a Truth or Dare interview. I stepped up to it and took the challenge. This is story of the making of the National Bank of Kuwait’s (NBK’s) McLaren (Ali Alghanim & Sons Automotive Group) ad that I posted about earlier. 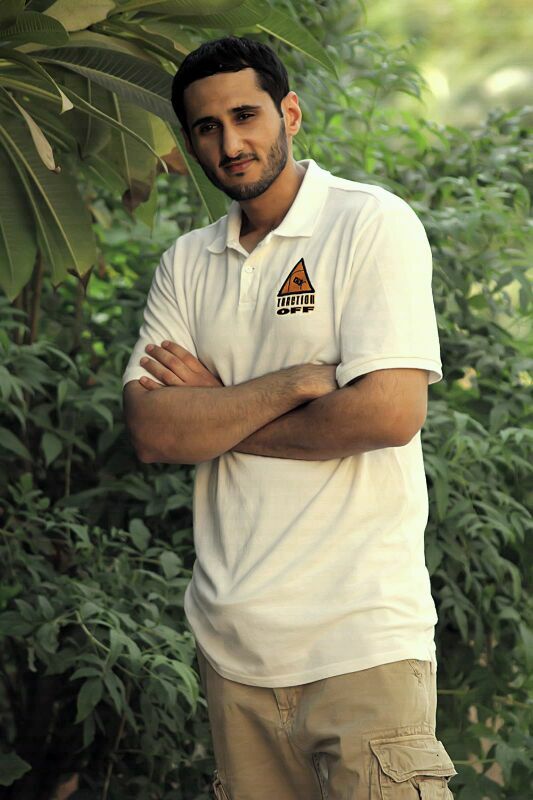 When I accepted this project I was emphasizing on opportunity and chances for Kuwaiti youth that don’t usually happen. In my case I was seeking an under-development athlete sponsorship contract for 2 years to start focusing on paving a path for a career in the automotive field. I was losing chances of getting a contract for me at the time, but what always kept me going is my drive and passion to motorsports and believing that it’s possible to actually make things work by giving in more commitment. I just had to sacrifice the easy life of a routine work environment and seek high risk chances that usually make a difference by making the most out of any possible opportunity I get for something I know I’m good at. After accepting the offer, I went on with the journey to seek for a Kuwaiti filming director that is looking for the same opportunity as I am, which is doing a job for a big entity such as NBK and McLaren Kuwait. After almost 5 weeks of research and contacting directors from different fields, I was starting to lose hope because I barely had 2 weeks left until the deadline and I still don’t have anyone on-board. The coincidence was that one day I was having coffee early morning before work at a cafe across the street and I was desperately asking the guys if anyone knows a young Kuwaiti director that wants to work with cars for a big project. One of the guys calmly asked me to take down a number and call the guy, all he said is his name was Abdulrahman Al-Khamis and he’s a talented director. The same day after work I called Abdulrahman and I started explaining briefly over the phone, his reply was, come down to the office at 8pm and we’ll talk. Went down to his office the same day, I was trying to promote that this is a great opportunity for talented people like himself to take advantage of it, he understood me immediately and we kept talking a lot and shared many matters about the idea. He liked the idea but wasn’t too sure about it because it wasn’t going on TV, and my agreement with NBK was that it would not be broadcasted on TV, but it will be shared via social media. Still that didn’t matter much to him, and he accepted the offer. We started meeting regularly with the crew he usually works with, brainstorming ideas on the locations and how the story line should be. I also remembered that there was a great photographer called Abdulwahab Al-Awadhi that took pictures of us during the RedBull Car Park Drift (CPD) – Kuwait competition (February 2012). I started calling random people from the Traction OFF Facebook page until I got a hold of him, apparently he was an 18 year old freshman at Kuwait University. I asked him to call his fellow photographers to meet up as soon as possible, then I contacted Hamad Al-Fadhli, an old friend that I haven’t seen for years that has been posting pictures on Instagram recently. After we met I realized that these guys have great potential and they were very passionate about taking pictures of cars specifically. We met and agreed on the time and location that we will be shooting for the ad, then we met with the people from NBK to see what else we can do to help those talented young men get exposed. The NBK team was very supportive to offer stands in the Avenues on the draw date hanging the photographers’ photos with their names and contacts for the public. Ofcourse I wont forget and I really appreciate the support of the people that helped us, either close friends or friends of friends or local residents from various arab countries that were either part of the filming crew or from the other entities. The main thing was, that everyone was enjoying filming regardless of the summer weather conditions (about 45C). The interesting part was that one of the policemen had a ride with me before shooting one of the scenes and the two guys from the medical team also had passenger rides by the end of the day. Even the NBK staff enjoyed some quick runs between scenes to have a feeling of pushing the McLaren MP4-12C to its limits. We had about 2 weeks left before the draw date in the Avenues mall. All the paperwork for the location was set with the competent ministries such as the Ministry of Interior and the Ministry of Health. The support of the great managers at the National Bank of Kuwait came in early morning to share with us the experience, also McLaren Kuwait’s marketing managers were available with another McLaren just in-case we needed another car to mount a camera on. It took us 11 hours to shoot the ad and the director finished editing the video within 2 days, and everyone from NBK and McLaren was quite impressed by the ad. 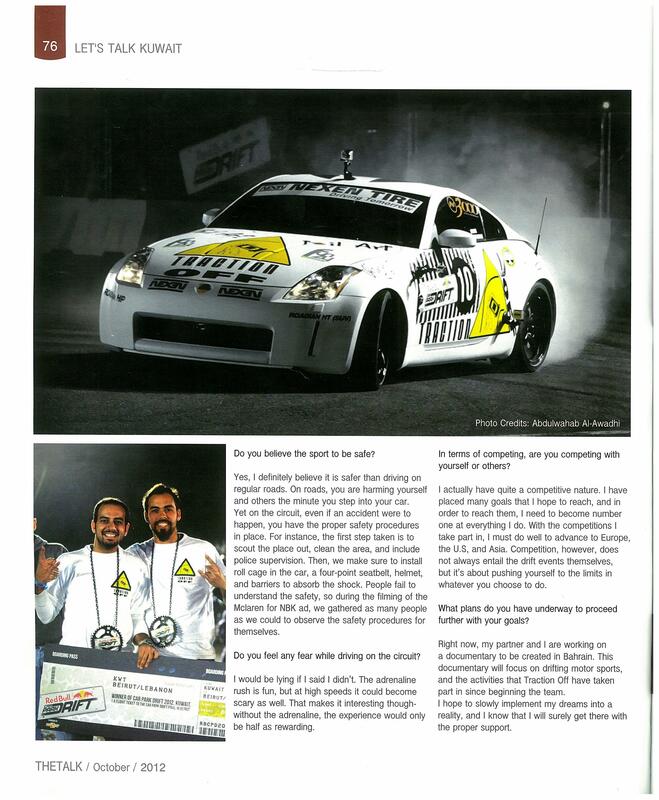 After winning RedBull Car Park Drift (CPD) in Kuwait, Muath Al-Essa my ex-teammate from Saudi Arabia (now racing for Aljazeera Ford Racing) was talking about the next participation in the United Arab Emirates (UAE). 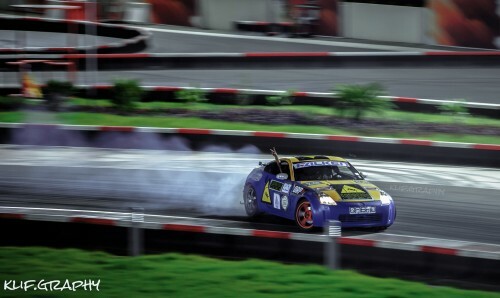 I had absolutely no idea about what UAE has been hosting, all I heard was SSK drift which has been hosting events since 2010. Muath was telling me that there has been a series that’s expanding like no other and Darren McNamara, a Formula D driver is the guest star to give participants drifting points on judging, drifting lines and other points about the course layout. SSK drift was the event I heard of and at the time it was in transition to become Drift UAE, and the next round that we were planning to join was going to be a Drift UAE event. Started making phone calls with sponsors in Kuwait to cover our costs, and thankfully we received support from Auto-1 which is a Kuwaiti based business and has a branch in Dubai, the same company based in Kuwait were title sponsors for RedBull CPD Kuwait. Muath shipped his BMW M3 from Al-Khobbar, Saudi Arabia since that’s where he’s from and I shipped my car from Kuwait to meet with Muath over the weekend at Yas Marina Island, Abu Dhabi. Salah Salahuddin (from SMS Perfomance) my ex-teammate from Bahrain also wanted to join but his car unfortunately wasn’t ready, we all decided that he was going to share with Muath his M3 because we had an extra set of wheels and tires for it. Muath and I reached Yas Marina the night prior the event. We woke up in the morning to wash our cars, brand them with the Auto-1 stickers and change the tires. Apparently we struggled to find a place to change the tires on the M3 because there was no tire store in Yas Marina Island and we went out on the highway to find the first gas station with a small quick service shop. Luckily we had time to change the spare wheels with new tires but went along with the half-tread of the tires on the M3 for the qualifying runs and assuming we’ll have time to change the wheels with the spare wheels during the event. It was Friday the 24th of February 2012, our second participation. We were amazed by the drifters we met, friendly and very supportive in many ways yet very professional with the car setup they have done to make them competitive rivals against others. 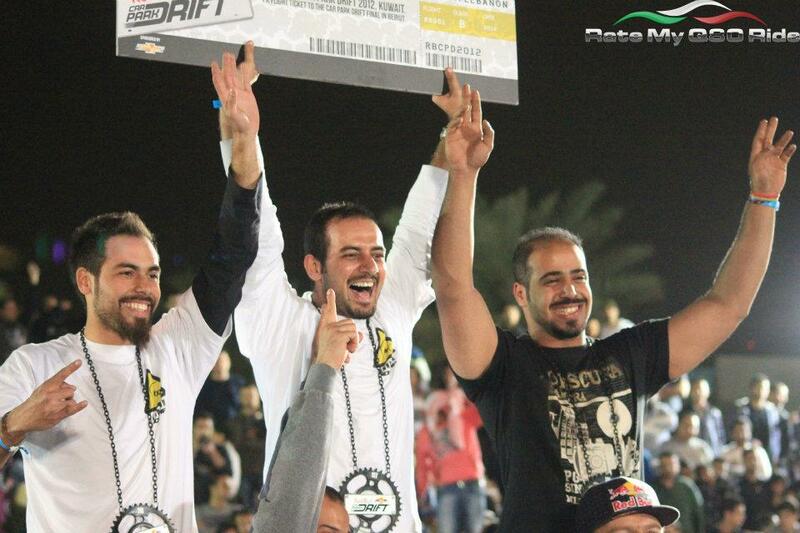 Most drifters were individual participants, only a few teams from Saudi and UAE were fully set up teams that have been around since 2010. It was a great opportunity for us to compete against rivals such as Ahmed Al-Ameri from Toyota Emirates Drifting Team and Abdulhadi Al-Qahtani from Aljazeera Ford Racing. We were about 25 participants and there were 3 qualifying runs, top 16, top 8, top 4 and then the top 4 would compete for podium. Muath went out for the first run which was quite thrilling because drift initiation speed was about 130km/h but he did very well. After him it was me and during my run something happened to my engine causing the car to lose about 50% of its power and then Salah went out for his run. All of us were sitting waiting for the results for the first qualifying run, Muath and I were qualified but Salah didn’t make it. Muath barely had any tire tread left after the first qualifying run, we were looking for help to lift the car and replace the wheels with the spare wheels that has new tires. With little time on hands, we didn’t have time to change it and it was Muath’s run. We dropped the car off the lift and he went for his run making him finish the course carefully by going sideways only. Then it was my run, and I had to struggle with the lack of power from the engine, and I barely finished the whole course going sideways. After waiting for the results, Muath was qualified for top 8! Cheering him and trying to change the wheels with the spare wheels for new tires, yet again we didn’t have time to change them, so he continued with the worn out tires. Unfortunately Muath didn’t make it for the last qualifying run, but it was a great experience. 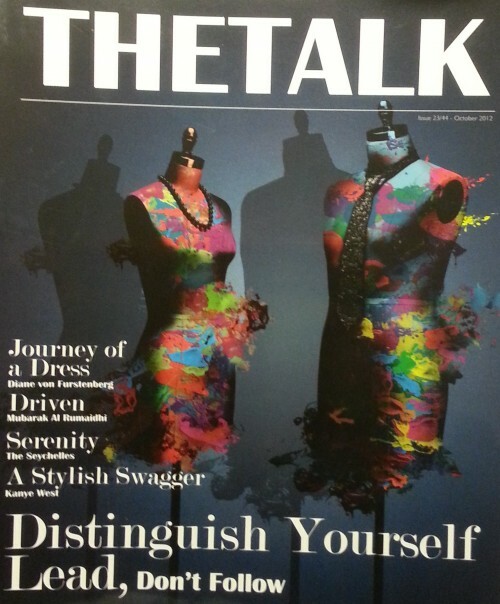 It all started with the co-founders of Slide ‘N Glide, Abulaziz Al-Zamel and myself. We were having a talk after Slide ‘N Glide’s 2nd Drift Day (January 2012) and Aziz started talking about forming a team to have a professional look when going into regional competitions, at the time there was RedBull Car Park Drift (CPD) and SSK Drift which was in transition to become Drift UAE. We selected participants from Slide ‘N Glide to start talking about having a team without realizing the dedication and effort that would be needed to maintain our cause. First person to contact was Muath Al-Essa from Saudi, 2nd place winner at Slide ‘N Glide’s first Drift Day and 1st place winner at the second Drift Day. Who tends to have much to talk about when coming to smoke, sideways and drifting. Our second guy was Salah Salahuddin from Bahrain, a Drag Racer with passion to Ford engines and many trophies in various motorsport events. Our last guy who is always out of town and roaming the skies, Sami Haidar a Pilot that I personally met while going sideways on a roundabout surprised to see him on my side door tandem drifting with me back in 2004. The guys were interested and we met the following weekend on January 27, 2012 in Bahrain except for Sami because he had a busy flying schedule. Muath already shared with us that he has an account on Facebook that he barely uses, but always wanted to have something to do with drifting, the name was Traction OFF. We agreed to participate in every RedBull CPD event based on every team member’s hometown, Muath in Alkhobbar, Salah in Bahrain, Sami and I in Kuwait. Our first event was in Kuwait (February 2012) and we had only 16 days till the event. 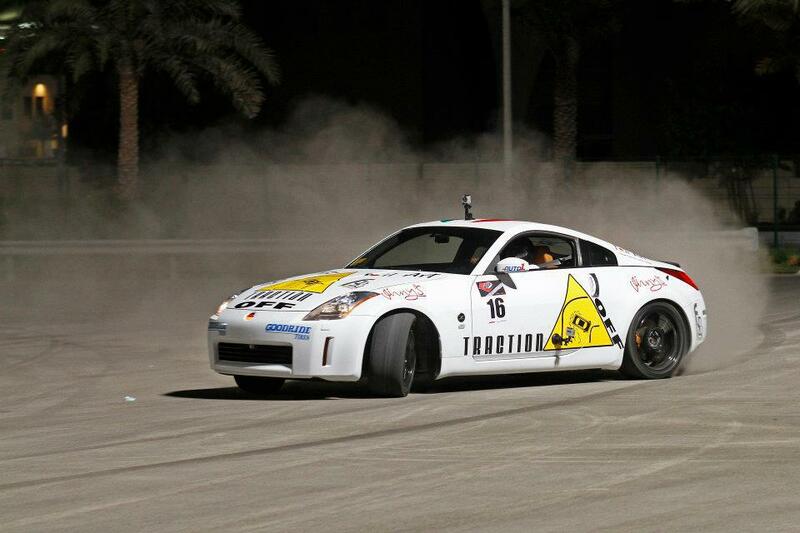 Barely getting the Traction OFF theme ready on my 350z with the support of our valuable first event’s sponsors, Alghannam Auto-1, Foil Art Kuwait, Vinny’s Italian Restaurant and Funzy Click Studio making us participate in RedBull CPD Kuwait with a professional look and that’s when I became RedBull CPD Kuwait Champion 2012 and my teammate Sami was second place. 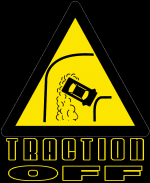 يعلن فريق “Traction OFF” أن البطل معاذ العيسى إنظم إلى فريق “فورد الجزيرة” و لم ننسى مشاركته معنا خلال موسم 2012 في عدة مشاركات.. متمنيين لمعاذ العيسى كل التوفيق في المستقبل! The champion Muath Al-Essa has left “Traction OFF Team” and joined “Ford Aljazeera Racing” , we won’t forget his participation with us during the 2012 season in several events… Wish Muath Al-Essa all the best in the future!